Welcome to ‘Ten Paths to God’, a new 10-unit curriculum on Judaism and Jewish identity based on traditional sources and the teachings of Rabbi Lord Jonathan Sacks. 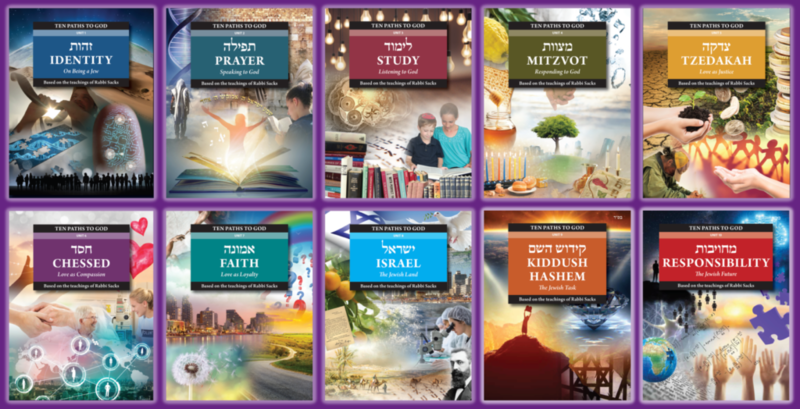 This curriculum has been developed as a free resource that can be adapted and used by anyone involved in formal or informal Jewish education – in middle or high schools, for youth movements, on campuses, or as part of outreach organisations, synagogues and community centres.It can also be a resource for parents to learn one-on-one with their children if they wish, or even for individuals who just want to think deeper about Judaism. What is the ‘Ten Paths to God’ curriculum project? Why is it so important now? To receive updates about the ‘Ten Paths to God’ curriculum project as it gets released, please fill in the form below. Your personal information will be stored securely and it will not be shared with any third party. The ‘Ten Paths to God’ curriculum project has been generously sponsored in honour of Chaim (Harry) and Anna Schimmel.